The Summer Olympics, 2016 in Brazil: Rio, Here We Go! Track and Field is among the oldest sports out there. It is not just one sport, though, consisting of several individual areas. 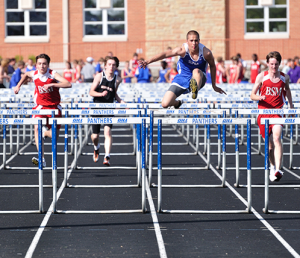 Known since ancient times track and field includes some of the most classic athletic competitions that we love to follow. In fact, it was one of the main events in the ancient Olympic Games that were held in Greece at the dawn of modern civilisation. 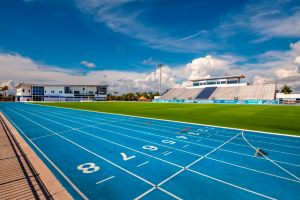 Track and field has maintained its classic appeal through the years, and it is still one of the most popular elements of modern sport, especially at the Olympics. Up until the early 20th century, track and field was for men only. It was widely considered to be an ultimate test of strength, and hence women were not allowed to participate in these competitions. In 1928, though, the track and field event was included in the female programme for the Olympic Games. 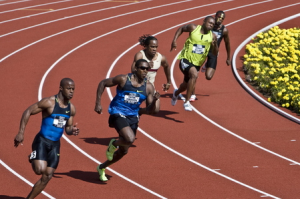 However, track and field remained a far less known sport than many of its contemporary alternatives. It was not until the 60s and 70s of the 20th century that track and field began to come back to centre stage, and only a decade later it had become a hugely popular sport. Yes, it was the 80s that brought track and field back to its former glory. 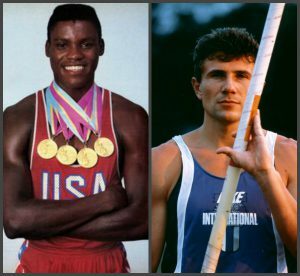 You probably are aware of many athletes that rose to fame, but maybe you never knew that it was the world of track and field that they had conquered. Carl Lewis, remember that name? Nine Olympic gold medals, eight World Championship gold medals, and numerous world records. What about Sergey Bubka, ring a bell? 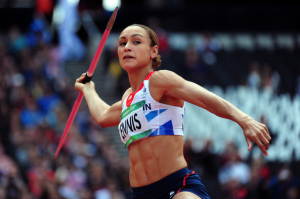 Twice Athlete of the Year, six World Championship gold medals, one Olympic gold medal. Track and field is an extreme competition that requires extreme skills. Only the best of the best manage to win, and hence their names deserve a place in the history books. Track and field is still an Olympic sport, and it is impossible to remove this ancient tradition from the most important sports event on our planet without diminishing it substantially. Every four years new champions are made and followers get new heroes to glorify. But which sports does track and field consist of? Of course, for any single athlete it would be extremely hard to compete in all of these events. Hence, the most common combined event is the pentathlon, consisting of five events. Oh, and by the way, why, you might wonder, is the sport called track and field? The simple reason is that it takes place on both a running track and on a jumping and throwing field. © 2019 Essexathletics.org.uk. All rights reserved.